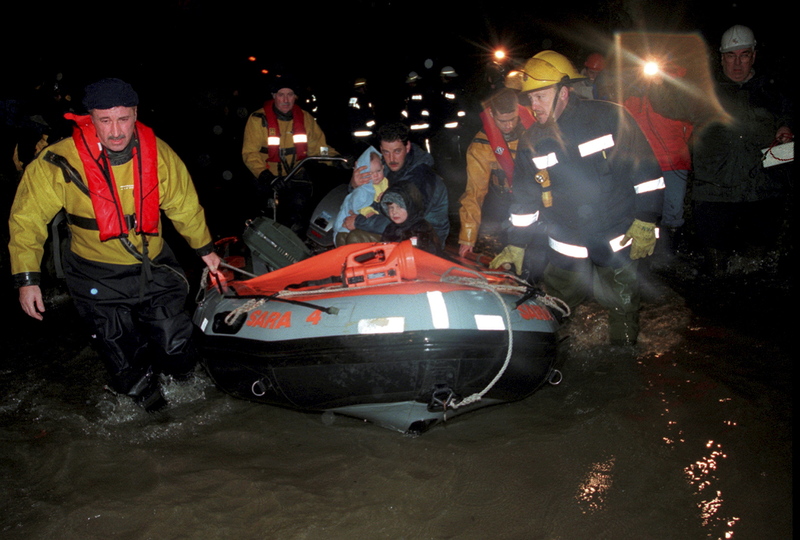 Rescue services bring in a father and his young children during an evacuation of houses in Sandhurst. This was late one night and involved waiting for hours. When the boat came in I remember wading into the ice cold River Severn floodwater which promptly went over the top of my wellies filling them up.